This is a blogger’s real life house tour giving you “behind the scenes” access to what things are really like. 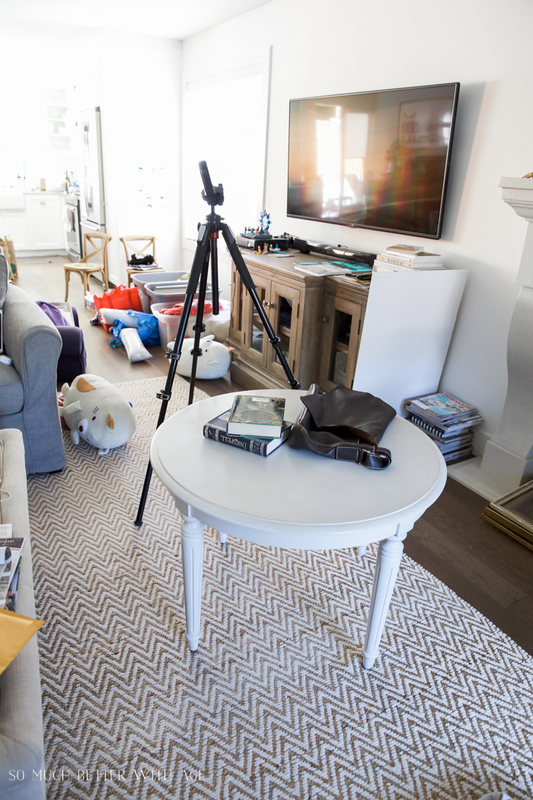 Have you ever wondered what a blogger’s house really looks like behind all those pretty shots? Every photo of a blogger’s house tour is always magazine perfect nowadays and while it’s what readers like to look at, have you ever wondered what a blogger’s home really looks like in real life? I spent a day getting ready for my fall tours a couple of weeks ago and this is what my house looked like prepping for the tour. Juggling my crazy book deadline, my blog, my kids and my life has been crazy the last couple of months and so keeping up with my house has taken a back seat. Should I be embarrassed showing you these photos? I probably should. But I embraced them. I even watermarked my photos! Because god forbid someone steals these photos from the internet. They’d better know that this mess belongs to me. Let’s get started on this tour. 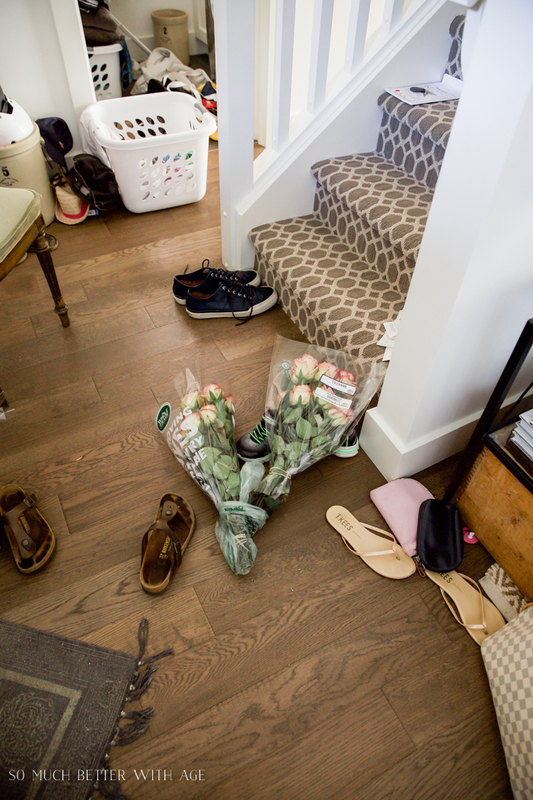 A blogger’s real life house tour. And there’s an actual giveaway at the end of this tour! Weird, right? Don’t worry, it’s not a missing sock. It’s good! So read to the end. This is when you first walk into my house. I forgot I had been driving around with a mirror and a chair in the back of my trunk that I found the day before at a thrift shop (for book projects) so I brought those in after I dropped my kids off to school and left them in front of the door leading to the garage. I also brought in the beach umbrella from the car and fresh roses that I just picked up for the fall photo shoot. A couple of days earlier my beautiful hook just randomly fell off the wall so all the hats that were on it are now stacked in my crock along with bike helmets. I can’t be sure if that’s an actual bag of garbage or old clothes to send off for donation. The potted herbs and bag of soil were just purchased from a nursery that morning as well and again found a spot on the floor. And yes they are for another book project. On the chair above I have linen fabric I recently purchased, washed and dried waiting for book projects. Also my son’s Star Wars coverlet from PB that he no longer wants so I guess it’s new home is on my living room chair. 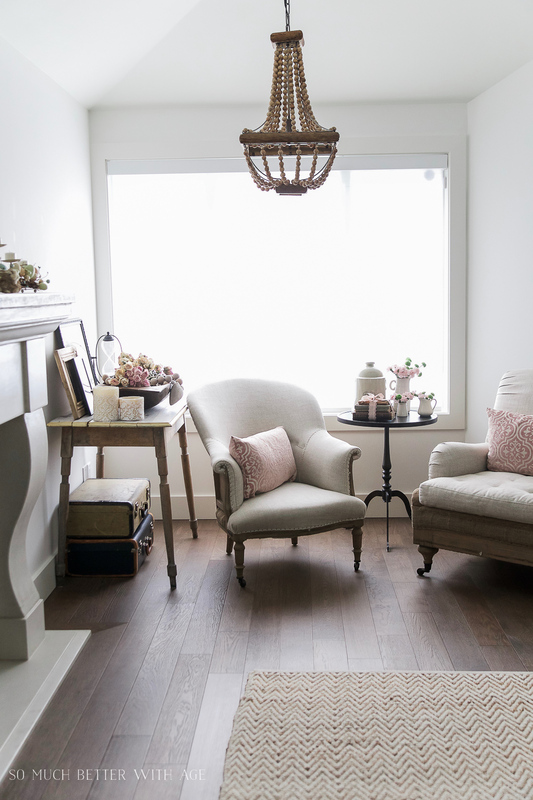 Here is that cozy spot in my living room that usually looks like the photo below (in case all this messiness has made you forget). In the middle of my living room (below) you’ll notice I’ve taken my kids table and used it as a photo shoot staging area for a book project. Back now towards the kitchen, this is the area where the kids usually have their cute little table and chairs. It’s in place now are bins. And fidget spinners. 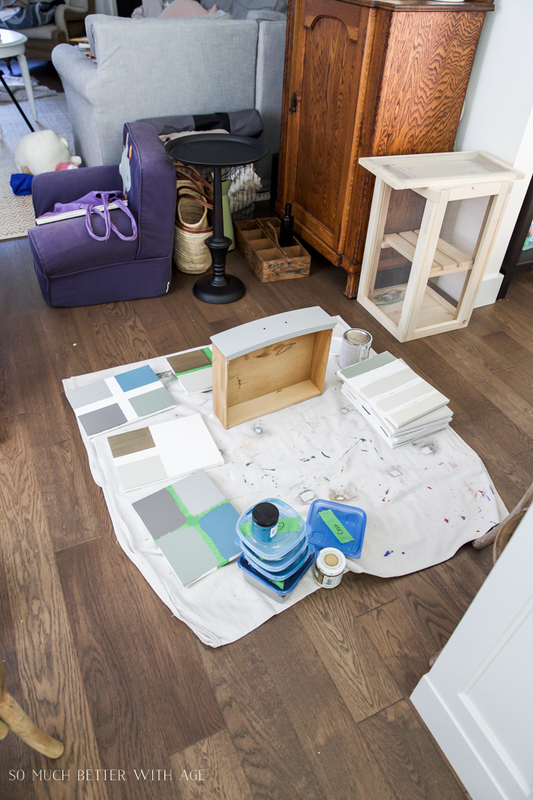 This little area in front of the kitchen island is where I’ve been coming up with new paint colors for book projects. In the kitchen, I think there are about 10 book projects laid out, some tap shoes that I need to sell/donate, boxes, cushions from the patio chairs and of course more bins. The bins are how I collected everything away from my dining room for this tour today. 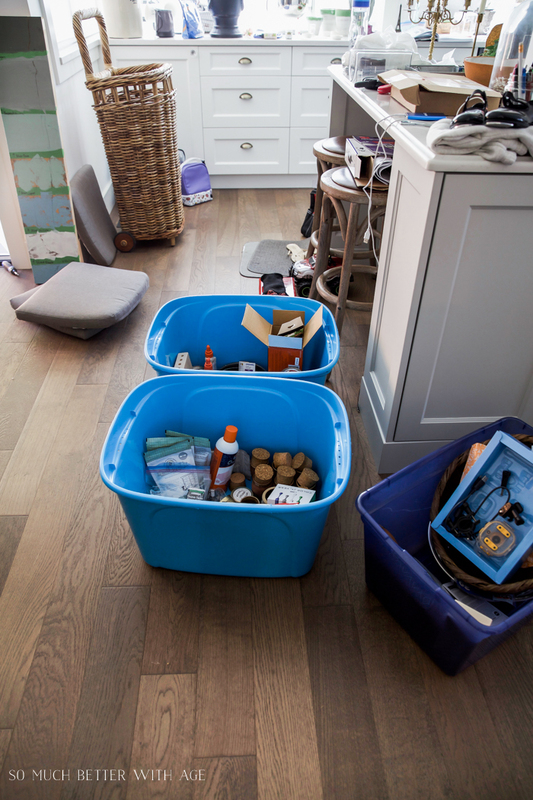 When I do the tour for my kitchen, I’ll do the same thing by moving stuff into empty bins. Now I have my dining room ready for styling! And this is how my dining room looked after I styled it. 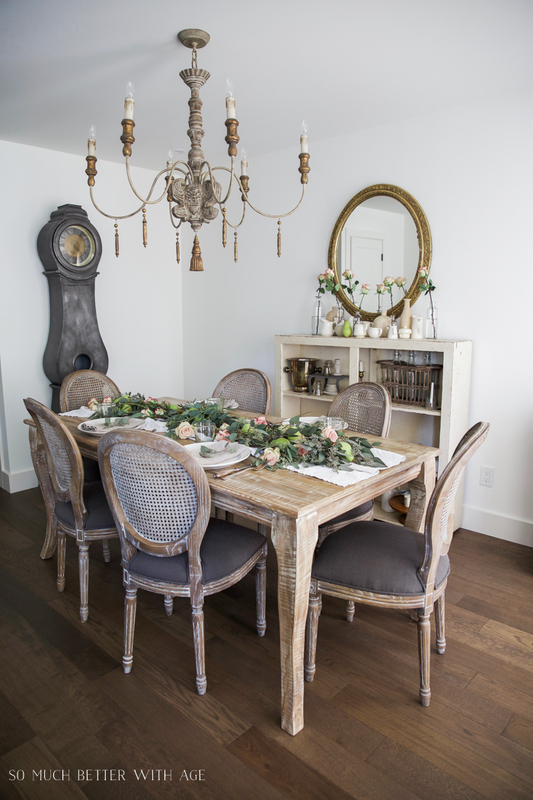 Here is my fall dining room tour in case you missed it. It looks so pretty, right? Could you ever guess this is what was going on behind the camera?? If you look closely, you’ll see Crackers’ tower in the mirror. That was too difficult to Photoshop out so this photo didn’t make the fall tour cut. Well I’m sure if this was brave or just dumb on my part showing you what my house really looks like sometimes. It’s been looking like this more often than not for the past couple of months while I’m working on my book. Once the photos were taken for my fall dining room, the stuff in the bins and all the extra projects piled back up in the dining room again and some made it’s way to my garage and basement. Writing a book like this really isn’t for the faint of heart. Just keeping up with life sometimes can have your house looking like this! And it’s okay. I know and you know that you are doing your best. Life can be a real struggle at times. I hope this makes you feel a bit better if you’re reading this post and looking around at your messy house. Because it happens to everyone. Even bloggers! So every time you see a beautifully staged photo, just think that you never know what is on the other side of that camera. What could I possibly be giving away? 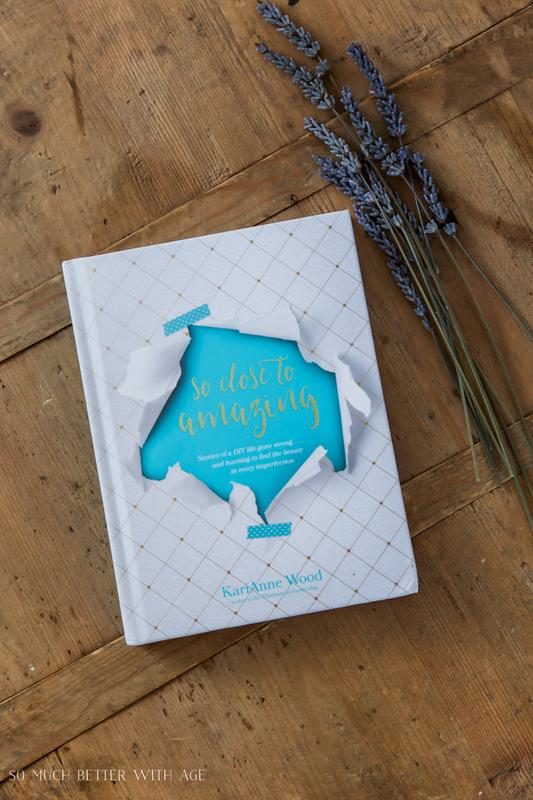 A book called So Close to Amazing (affiliate link) by my friend Karianne of Thistlewood Farms. If you related to this post just a little bit, you’re going to love her book. She’s an extremely talented writer and has the funniest stories about life. 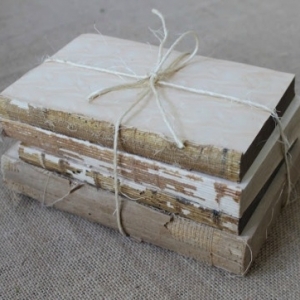 She also has some great DIY projects thrown in for good measure. 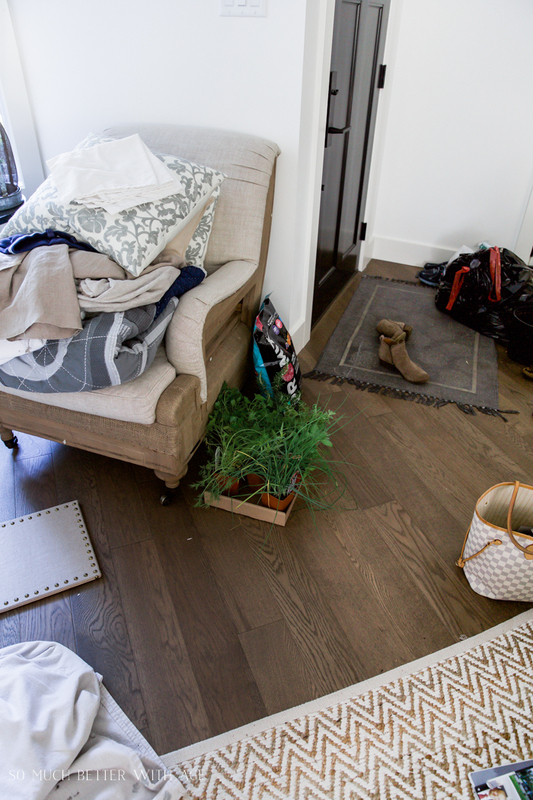 All you have to do is leave a comment about a time when your house has been it’s messiest (and it could just because it was a random Tuesday!) and I’ll pick a winner at random and mail you this book. # 9 – Liz S! who live in the real world. do the same until I’ve messed up all the house. He’s habitually neat. We have no idea how that happened! Good luck with your book and thank you for being so candid. Thanks Jean! 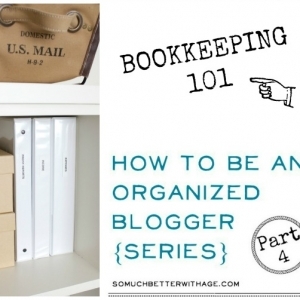 It’s sometimes so hard to organize when everything is all over, right? I miss the messes! Kids all grown, families do their own, everything here so neat and in its place. Boy, do I miss those days of messes! Awww..this is good to know, Lois. Thanks for sharing! Thanks for sharing. Messiest is probably around the holidays when I am actually trying to be most organized lol. That’s always the case, isn’t it, Candy? I think the messiest it has been was when my kids were toddlers. They still leave messes around but Not as bad. Yes! The toddler stage is a messy one! Thanks for sharing, I get so discouraged with all the stuff when doing holiday decorating. And I’m not even working on a book. Good luck with meeting your deadline. Thanks Lee. Yes, the holiday decorating can be overwhelming, that’s for sure! Love the photos of your house with “life” going on. 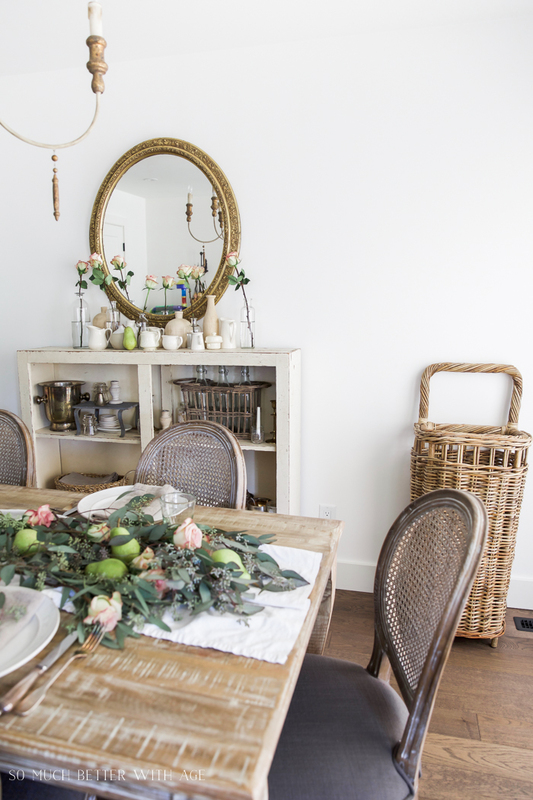 Yes you have a beautiful dining room when staged, but we all don’t live that way. Perfect houses just aren’t real life. Right now my guest bedroom, also know as my craft room, is total disaster. My brother is coming tomorrow afternoon to watch our house and dogs while we are away for week. I have a sewing project laid out on the bed, tons of paint bottles across one corner of the floor and leftover wrapping paper from my husband’s birthday. I will get everything picked up just in time tomorrow, but this is how it is every time. Yes, that’s the problem..when you have a project laid out and then you have to leave it there until it’s done! Last time my house looked like that was when my three grandsons were over playing with every single toy I had in my cabinet. Crayons to Hot Wheel cars & their tracks were in practically every room in the house!! But boy did I miss them when they left. I’ll take that lovely mess anyday!! Aww…so sweet. Yes that’s the way it is, isn’t it. Might as well enjoy the mess while it lasts. Thanks for sharing “real life” with us. Our life is pretty quiet right now so if you just drop in you’d think it looked okay, but if you stay awhile, you’d see all the dust bunnies 🐰 🐰. Hey, life happens. I like real people. haha yep, real life! Thanks for sharing, Susan. My house was its messiest back in 2000, when I added 2 more floors to my home. The joys of packing, moving, unpacking, arranging, etc., haha. The last mess I had in my house was this past May, and my husband and I were packing and moving, by ourselves, in 100 degree weather! We went from two bedrooms, living,dining, kitchen, attic, and basement, to a 8×28 travel trailer. We stuffed whatever we could live without into two 10 x10 x10 self storage rooms, piled to the ceiling! What a huge mess! We moved to some barely developed land, so my husband could live his dream of country life. My life in the boonies! Wow, sounds exciting and yes messy 😉 Life is definitely messy at times. I’ve stacked so many things in storage units to the ceiling before too! Thanks so much for sharing! The messiest, huh? Right now, I am going to say it is when all the guys gather here to go out on the big hunt and all of their hunting gear is everywhere. Everywhere!!! We are talking clothes and coats and boots and bags and food and kennels and dogs and bodies….live ones, of course. But they all have fun and we are happy to have them. I honestly start cleaning as soon as the pickups head out for the adventure. Yep! That would be the messiest! haha Thanks for sharing, Patty. I adore this post!! Thank you for being real with all of us!! haha that’s always the way, isn’t it? I’m sure it was worth it though. Thanks for sharing. Sigh – I feel so much better. Maybe there is hope that I will get my house in order, too! Thanks Brenda! We all have our struggles, nothing is ever as perfect as it seems! Every Tuesday & Thursday because I keep my grandson those days. So between the toys and kitchen cabinets, it’s very messy. But I wouldn’t have it any other way! Thanks for sharing, Regina. Messy but the best, right? My house is at it’s messiest anytime the doorbell rings with surprise visitors. It seems when I clean, they stay home!! Is today my messy day? Yes, as I was doing my best to empty the dishwasher at lightning speed (trying to beat the speedy hands of a toddler), I laid my hand in something that I still cannot identify. Each day with family temporarily moving in (two adults, one toddler, one dog and two cats) I find something left sticky or books and toys tossed lovingly all over. And the best part is that we love having the humans here! Toddlers and stickiness always seem to go hand in hand, right? Thanks for sharing! 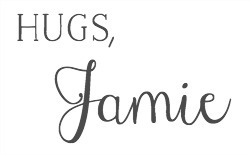 Oh my heavens Jamie, how dare you be human, lol. Since I’ve gotten older our house gets messy more and stays that way til am done with projects. Usually when am preparing for a craft show or during weeks before holidays. I have energy for either crafting or cleaning and when there’s deadline, cleaning has to take a back seat. Am 77 and don’t have energy I used to have. Mr.Furry is used to it. Good thing he does all the cooking these days or we’d both starve. Hey we raised 4 kids, moved from one side of country to another a few times and both are getting older. My endurance is not what it used to be, so have gotten so that’s ok if house is messy. We live in single wide mfg.house. so hard not to get messy. Not dirty but sometimes very messy. Oh well shoot me, lol. Thanks for sharing Janeellen. I get it, when you only have a certain amount of time, it’s cleaning that takes a back seat. I’d rather accomplish something I create than just a clean house. haha I totally get that! Thanks for sharing, Victoria. Luckily with just 3 of us living in our house it is never very messy. I do, however, have that room in the unfinished part of my basement that I don’t want anybody to see. It’s a sad reminder that I hoard waaay too much. haha there’s always a room or a closet where we have to hide stuff, right? My house is always a mess when my 2 year old grandson has been here more than 5 minutes! He loves getting out all of his daddy’s old trucks and tractors to play with, as well as all those “vintage” Fisher-Price sets. Now that I have grandchildren, it’s like reliving my youth. 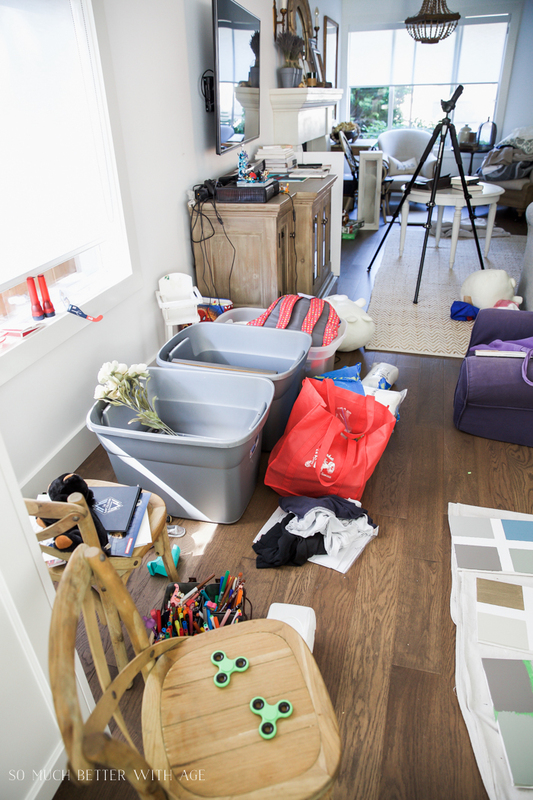 The mess goes from room to room all over the house. The kids are having a blast, and I don’t mind the mess at all! Life is more important, right? Thanks for sharing, Kathy. The messiest was this past summer – moved into a house, our wedding, and cleaned out my classroom. Yes, that would do it! Thanks for sharing, Nicole. haha totally! Thanks for sharing! I love this! Can’t get anymore real and I admire that! My house looks very similar everyday as soon as my kids get home from school all the way up until their bedtime haha! I have a 10, 6, 4, and soon to be two year old that make it almost impossible to keep a clean house or get anything that “I want to get” done like my own blog haha! I got three posts in since May I think 🤦🏻‍♀️. I enjoyed this very much, thank you for posting and shedding light on what most homes are really like because I’m sure everyone’s home secretly looks exactly like this one time or another! Life with little kids is just impossible sometimes, right? But it’s all worth it. Thanks for sharing! Thanks for sharing your “real” home. so often I look at bloggers home pics and feel frustrated because my home could never look that perfect. Thanks for sharing, Diane! I really want to simplify my life and my tours after my book is done and I’d like to share with my readers. Life is just too exhausting to keep up! Toddlers and a clean house just never go hand and hand, do they? So challenging! And yes the projects make the house a mess too! Thanks for sharing. Thank you so much for sharing that! I have some medical issues that make it difficult for me to keep up so seeing this makes me feel like I’m not alone and I don’t have to be perfect! We have moved several times over the last 10 years. My husband works 9-hour day, 6 days a week, and I work full time as much as I can with my medical issues. Needless to say, our house has that just moved in look that has followed us from one house to the next. You know the look, wall to wall boxes, both unopened and 1/2 way unpacked! This is our long-term home that we just bought and moved into in June. (The others were rentals.) So my dream is to actually “Move in and unpack!”. Now if I could only figure out where to put everything. It’s always the small things that make us happy, right? Like actually unpacking. Thanks for sharing and have fun making this house your home. My two girls are all grown now and on their own. BUT!!!! I have huge messes when my 3&1/2 year old granddaughter comes to visit! Do I care.? Absolutely not! I haul out her pretty pink kitchen, big basket of dress up clothes, dolly crib, rocking chair etc. I end up with stuff scattered from one end of the house to the other. My husband of 41 years, known as Bumpa to our granddaughter, gets down on the floor with her, and never complains about the temporary chaos. We know from experience how quickly these memorable moments are going to fly by. It takes us about 30 minutes to put everything away, but she LOVES coming to Grammys and BUMPA’S house. When she’s here I spend every moment with her. She is the absolute joy of our lives and I wouldn’t trade these moments/memories with her for anything! You sound like the best grandparents! Life is just too short and you’re making beautiful memories which is most important. From about September through December my house is a disaster zone! I’m a photographer in the Midwest, so I’m booked solid with family sessions and weddings during those months! It’s chaotic! This last summer when i painted the floor on my screened in porch. I had to move stuff in my house and cleaned everything on the porch and then painted the floor. There was stuff in the entry, kitchen and dining room. I love your new chair, you are so funny and real, thanks for the tour. Thanks for sharing, Marlene! 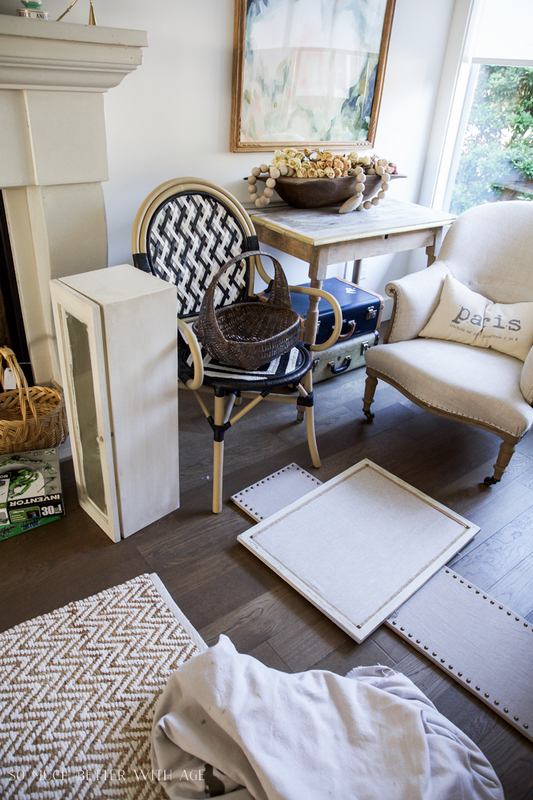 Yes, it’s impossible to have a pretty house and not have chaos somewhere else, right? I love all the comments you leave me. Thanks for keeping it real! We bought our first home in March, but my husband’s job transfer hasn’t gone through so he still works three hours away from us. This means he’s gone from us all week, and I’m alone at home with our four girls (ages 7 years-3 mos.). So you can imagine the house gets pretty crazy each week (feeding, bathing, and getting them to school usually takes priority). The kids always know when Daddy is coming home because every Friday we go on a cleaning frenzy trying to welcome him back to a semi-livable home! It’s so hard to keep a house clean with small babies and kids! Don’t kill yourself trying to keep it clean by Friday. It’s so hard to do it all on your own. That sounds like the perfect time, Julianne. I’d say it was when my premie grandson come home from the hospital with a bunch of equipment that he needed. My daughter had to camp out in the living room with him. And she is messy! Oh man, that sounds like a challenging time! Thanks for sharing. I’m a perfectionist, too, Linda. It’s really hard to keep up! Things end up in my office too and usually just stays there. Thanks for sharing! Probably one of the messiest times was when our kids were in middle school, my husband was working a lot of hours and acting in a play I was directing. Ordinarily I had a system where I’d organize our kids papers, etc. right after they got home for the day. 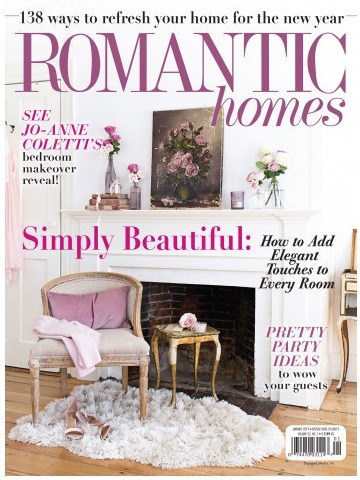 As to a blogger’s home being neat and photo worthy all the time….. well, I’ve never had that unrealistic expectation. I’ve always known what’s behind the camera is nothing like what we see 😉 Maybe that realization comes from my years on stage in theatre and music. Your photo shoots are tremendous and lovely. We’re all blessed to see them. Thanks for sharing, Connie! Yes, no one lives a perfect life and if they do, they are missing out on life. Thank you for that real glimpse into your life just reminds us all to keep it real!!! I absolutely love that you were courageous enough to show the real! My house is at its messiest when I am baking for the holidays and decided that it is best to bake ten different items at a time! Nothing like biting off more than you can chew! haha well sometimes it’s best to make a mess all at once, right? Thanks so much! So brave of you to show your mess. It was also a relief to know I am not alone in messiness! Our house was at it’s worst when retirement, illness and a death in the family stopped me in my tracks. It took a long time and my married daughter’s help to get back to decluttering. Thank you Chris! And thank you for sharing. Everything always seems to happen all at once. I’m sorry to hear about the illness and death in your family. The most important thing is taking care of yourself, not your house. I appreciate the “realness”. It can be so easy to read blogs and begin to compare, or feel like we lack. Even as bloggers, the comparison factor comes in of “my pictures aren’t like theirs, my house doesn’t look like theirs, etc”. It’s a vicious cycle. 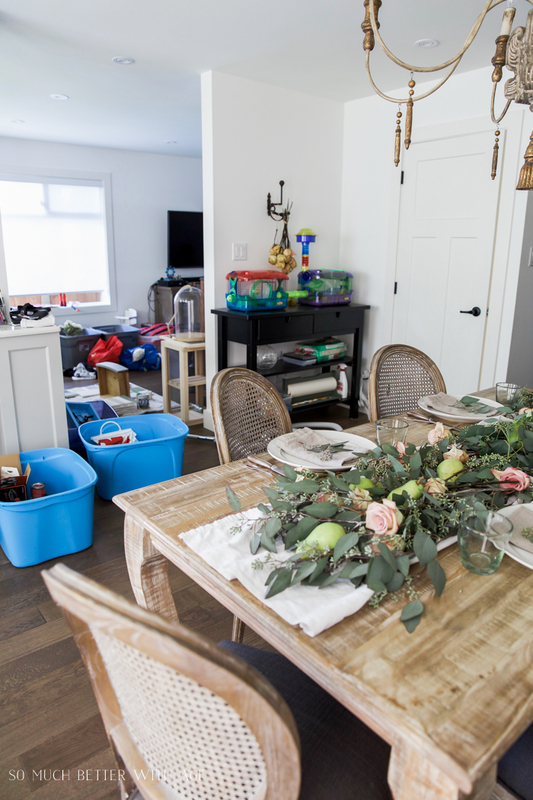 I know there have been times of sheer messiness in our house, usually it’s just clutter because I’m trying to decorate, or maybe just didn’t feel that great so let things slide a little. It seems we are all so busy these days our homes looks the same . We shift everything over to make room for guests to see a lovely home when we know we can’t open the closet door where we hid everything. And we clean out the closet when we need something we think we might have put in there! It happens to all of us glad to see we aren’t alone. Yep! We’re all the same 😉 Thanks for sharing, Cherilynn! I love it! 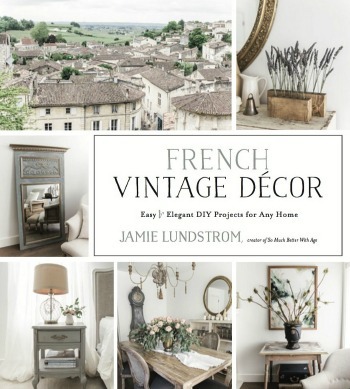 Just carve out a spot of pretty and everyone can imagine your whole house looks that way. I do love your dining table and chairs. Our 11 year old son and all his stuff seems to explode everywhere right now. Yes! Pretty good trick, right? I’m still waiting for the day when my whole house looks gorgeous all the time, lol. Years ago, my sister gave me a wood plaque that said, “A messy house is the sign of a creative mind.” I get nervous when my house looks perfect for more than a day. Love how you can make messy look good. You are an inspiration and an encouragement rolled into one photo blog. Good luck with all your new projects. That’s the best sign ever! I used to be a neat freak but it’s so hard juggle projects around the house! Thanks for sharing. Thank you for showing how your life really is behind the scenes!! We are retired and so not hard to keep things pretty well in hand. Except for our dining room floor where all my to do craft stuff is all over the place! Oh well, will get finished with all of it soon. And then start all over!! Thanks for keeping it real in a world of imitation. You are amazing. Not even so close. Awww, so glad you liked my mess, Karianne 😉 Thanks so much for being an inspiration! My house is probably the messiest after we have had company and they are all gone. I have all the kitchen and bathroom cleanup, linen changes, towel changes, etc. Yes!!! This happens to me too. Then I want them to come over after they’ve left so they can see how clean it is! Thanks for sharing. So true, Kimberly! It shouldn’t be brave to do. I love that old chair too and that you saw the beauty in it. Loved your story you shared. We have been working on the In-Las Suite that my Mother lives in in our home. We have SO much stuff piled on our dining room table and it does not seem to get smaller no matter the amount of work we do!! Constant mess!! ugh. When viewing all the gorgeous rooms on the multitude of bloggers I follow, I have wondered, “How do they keep up everything looking so beautiful, day after day?” Now, thanks to your transparency, I realize they don’t! Knowing this, makes me feel so much better about my own, less than perfect days! Thanks. Thanks for sharing, Pamela. 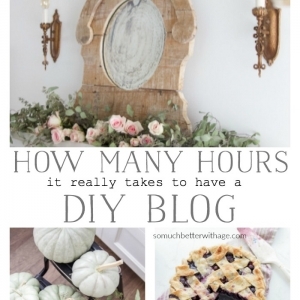 Some people think blogging is easy and it definitely is not. While I love being able to ‘work’ from home, it’s always a challenge to do the work while the kids are at home and make money from it. After we pack for a vacation. We have stuff everywhere that we thought we were packing and some things just didn’t make the cut!! Messiest is everyday after school when the boys barrel through the front door dropping jackets, backpacks and shoes while headed to the kitchen for after school snacks! It gets picked up and taken to their rooms eventually but for that time period the entryway looks like a wind tunnel. 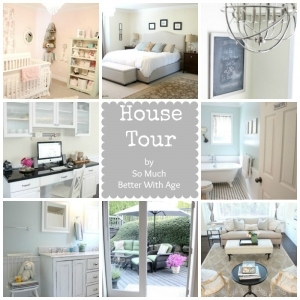 Loved the house tour. So nice to see the reality of living. It really is a creative space. Thank you so much for this post! My house is the messiest on Thursday’s. I work Monday through Wednesday at my career, so things get left until I am off and can be home. I just can’t work away from home all day, cook and keep up on those days. This post really makes me feel better! You are so real, and that is what makes your blog so wonderful! It is so good to see the ‘real’ house, even if it is a very busy time for you. it is sometimes de-motivating to see the perfection in the blog pictures as we try to make the most of our current home spaces. Thank you! I find that to get projects started it really helps me to collect everything together and lay it out, but it takes up space and makes a mess. Fortunately, if I do so, I am far mores likely to begin the project if it is prepped and ready to go. I’ve found the Mothership!!!!!!!!!!!!!! With the exception of all the kids’ stuff (I’m old…no children to add to the chaos here!) and the hamster tower, this is pretty much what our home looks like when I’m tablescaping or not feeling well, or when I’m decorating for Christmas!!! I have to carve out a little pathway to get around in some rooms!!! This was incredibly brave of you, and I think it will hit a (fun) nerve with every one of us out here who live “in the real world”!!! Thanks so much, Alycia! So glad I have a fellow friend with the pathways and mess, haha. Our house is a lovely mess right now because we had three grandchildren with us this weekend so I will be smiling as I clean on Monday! Thank you for sharing with us at Merry Monday. We look forward to seeing you at the party this week! I kept thinking, how brave and refreshing of you to show your real home to us all, and reaffirm that picture perfect is not the norm, thank goodness. 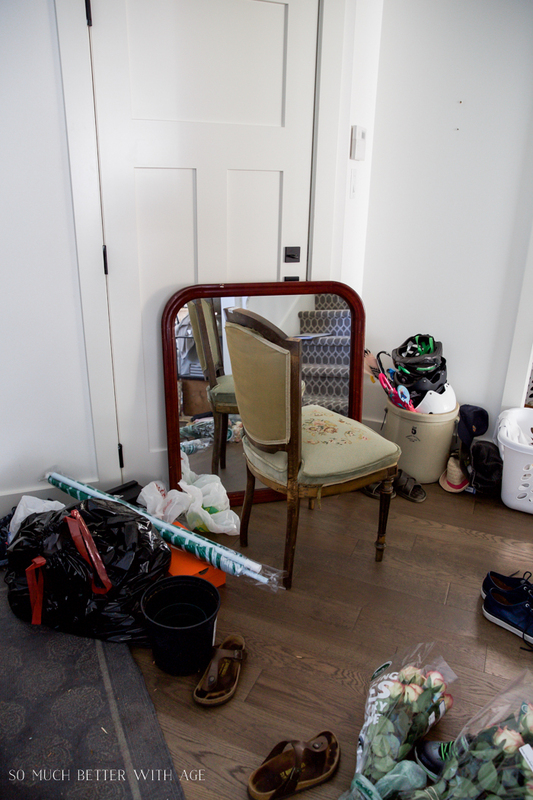 Since you were brave, I guess I can confess that I had a terrrible period very much like hoarding, where my house and the organization of it had just overwhelmed me. It took a crisis in my health but my kids stepped up and came and took on the task of cleaning and organizing my house. Is it perfect yet? Far from it, but at least I can face it and slowly, day by day, work at cleaning and organizing. 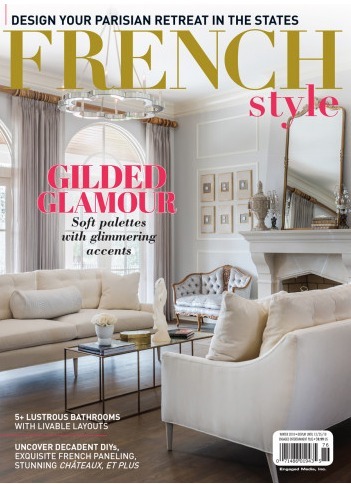 Again, thanks for showing the reality of your home, you have probably brought a smile to the majority of your readers!